Pangong is 40 miles in length and nearly 2-4 miles in width at a height of 4267m above the sea level What strikes the eye in coming first in view of this lake is the lovely colour of its water, espacially towards evening, which is of the richest deep blue, over the whole expanse, at morning time, it is of a lighter a very brilliant colour. The water of the Lake is not that salty as sea water. A long narrow basin of inland drainage, hardly six to seven kilometers at its widest point and over 130 km long, it is bisected by the international border between India and China. Spangmik, the farthest point ot which foreigners are permitted, is only some seven km along the southern shore from the head of the lake, but it affords spectacular views of the mountains of the Changchenmo range ot the north, their reflections shimmering in the ever-changing blues and greens of the lake’s brackish waters. Above Spangmik are the glaciers and snow-capped peaks of the Pangong range. 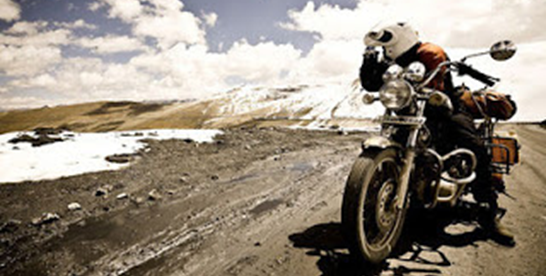 Claimed to be the highest motorable pass in the world, the ride up this road sure makes for an adventurous journey. This is one of the most famous landmarks of this place. The word La means “pass” in Tibetan. Khardung La is situated at around 39 km by road from Leh. The first 24 km lead to South Pullu check point. The pass offers some great views of the valley and the roads. Ensure that you get the necessary permits made in Leh city before heading there. 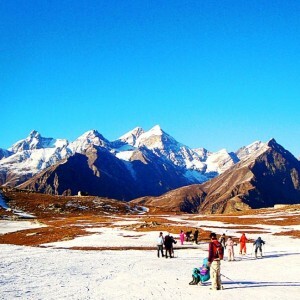 Apart from Khardung La, one must also visit Chang La, Baralacha La and Tanglang La. The Suru Valley is one of the most beautiful areas of Ladakh and a rather recent addition to the tourism map of Ladakh. The Suru Valley forms the mainstay of Kargil district. 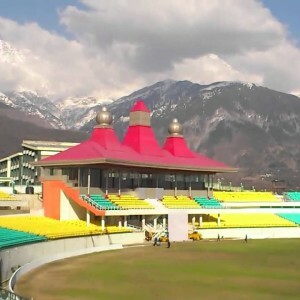 Lying nestled along the north-eastern foothills of the great Himalayan Wall, it extends from Kargil town, first southward for a length of about 75 kms Upto the expanse around Panikhar, hence eastward for another stretch of nearly 65 kms upto the foot of the Penzila watershed where the Suru valley rises. The hills of Suru Valley are cultivated intensively than anywhere else in Ladakh. Enough snow and water during the winters and fertile land makes it possible to yield two crops annually. 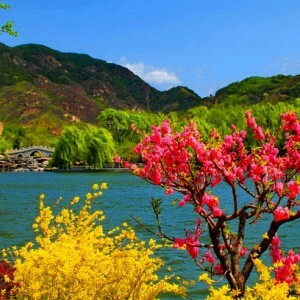 The valleys are especially picturesque in spring when the apple, apricot and mulberry trees are all in bloom and in autumn when they are laden with fruits. The waters of the hot sulphur springs at the village of Panamik, the last destination travellers are permitted to travel to in Nubra, are believed to have certain medicinal qualities that cure a number of ailments. 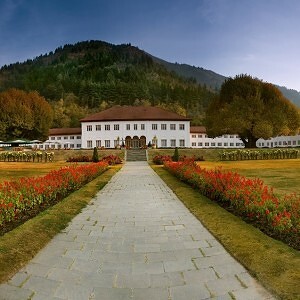 If you are in the mood for yet another monastery, you can walk to the Ensa Gompa that is over 250 years old. Try living in the campsite for a day or two if you can afford it. Nights at the campsite are especially fascinating – the sky is studded with stars that seem oversized due to the altitude, and the countless shooting stars seem to fall slower than usual, leaving behind a long shimmering trail. Add to this the sound of the gurgling river as you drift slowly into a restful sleep. In the days of yore, the fertile Valley of Nubra formed a part of the overland route between Tibet and Turkestan. Once dotted with garlands of camel and yak caravans, this Silk Route glen is also known as the ‘Valley of Flowers’ of Ladakh, and is amongst the greenest valleys in the region, ideal for your holiday break. The romance of the Silk Route still hangs in the air as you cross the formidable Khardung La (pass)- the highest ‘motorable’ pass on the planet that connects Leh to the Nubra Valley. The road from Leh rises steeply to meet Khardung La and then dramatically plunges into a whirlpool of bends and turns to gradually unfold itself along the rushing Shyok and the Nubra Rivers.